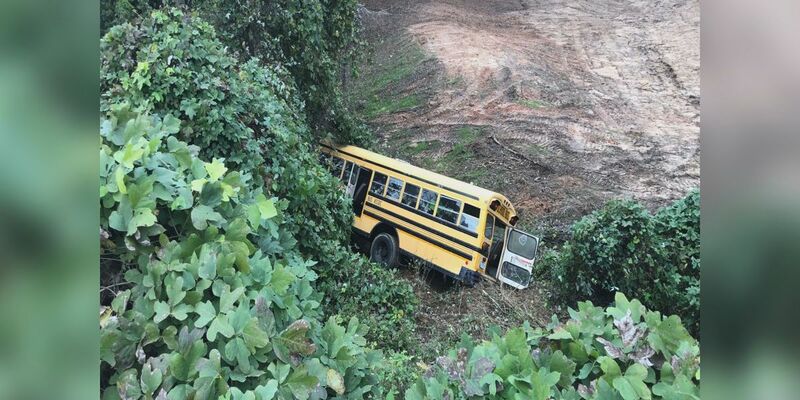 CARROLL COUNTY, MS (WLBT) - Thirteen Carroll Academy students are injured after a school bus driver has a heart attack. According to WTVA in Tupelo, Mississippi Highway Patrol Sergeant Ronnie Shive says 75-year-old Jeffrey King suffered a massive heart attack before four Wednesday afternoon. Shive says King was travelling along Highway 82 from Carrollton to Greenwood with twenty-three Carroll Academy students on board. The driver went off the highway in Carroll County near CR 316 and landed in a ravine. Trooper Shive says thirteen students suffered minor injuries. They were taken to a local hospital for treatment. As for the school bus driver, Trooper Shive says King was flown to the University Of Mississippi Medical Center in Jackson.